From February to July 2019, prof. Chang-hee Won of Temple University in Pennsylvania, USA will be visiting CTU as a holder of the Fulbright-CTU Distinguished Chair fellowship. 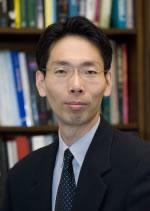 His professional interests include sensors and image processing and advanced control theory. His host will be prof. Jan Kybic from the Department of Cybernetics of the Faculty of Electrical Engineering. We asked Prof. Won several questions before his arrival.